[Farm] Size: Does it Matter? Farm size gets a lot of press these days. Big farms, small farms, micro farms – each operating differently, in ways that make sense to their particular operation. The common denominator among the vast majority despite the size of the farm is a proud, caring farmer or farmers, doing their best to take care of the land and/or animals they rely upon often with future generations in mind. Usually they are carrying on a family tradition or striking out on their own after being inspired to do so. 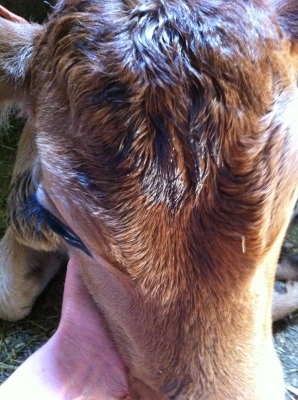 To illustrate, I reached out to a few fellow dairy farmers to ask their philosophies about animal care. You will find their statements in their own voices first, and then a list of the farm sizes. I won’t tell you who said what, but rather let you guess. These statements are all straight from the farmer. Despite the varying sizes and the different ways accomplished, one theme winds through them all: animal care is of utmost importance. There may be folks who still want to debate differences between the sizes of dairy or other farms and what they can or can’t offer, but those discussions should all be held with the knowledge that at the end of the day, animal care is a primary influence on decision making. Farmers know that if they take care of the animals, the animals will take care of them. And I’m proud to say that I couldn’t agree more. You bring up an excellent point! I just like the valuable information you provide to your articles that was very useful for dairy farmers. Keep up sharing such nice information with us. Hey that farm is lovely. I am also an aspiring dairy farmer, but looking into more exotic milks than just standard bovine. We are a large grain and vegetable farm on the Eastern Shore of Maryland. All of the things your dairy friends said about their animals, we would say about our soils. Sadly, the media portrays it differently which is why our agvocating about our farms is so important! Thanks for sharing your blog!